If you would like to focus on your online teaching website and not on technical minutiae, EadzHost is the ideal option for you. We offer a single-click Moodle installation at signup. You can order a Moodle web hosting account for only $2.75 per month, along with a brand new domain. 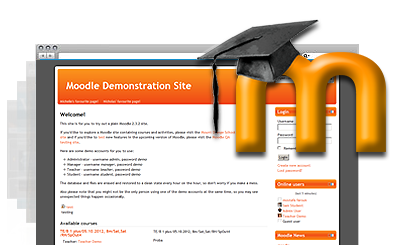 Moodle web hosting made simple with EadzHost! EadzHost meets all requirements for hosting online teaching websites. EadzHost offers an exceptional client support service.